Another productive day before we all return to our routines this week. I decided to machine stitch the binding down on both sides for Clover. In retrospect, I should have at least tried out a different thread color in the bobbin to blend in with the backing, but it’s all good. I prepped the label ahead of time, and stitched it into the corner while doing the binding. Then I hand appliqued the other two sides. This one is F.I.N.I.S.H.E.D.! My friend, for which I meant to give it last year, is visiting this week from Colombia. I’m so glad to be able to give it to her in person instead of shipping it. Now that I have three quilt bindings behind me, I’m eyeing my Reach for the Stars project again. 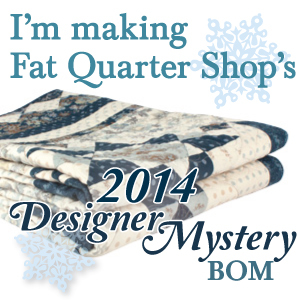 I have two blocks left and then the quilt setting. See you again soon! 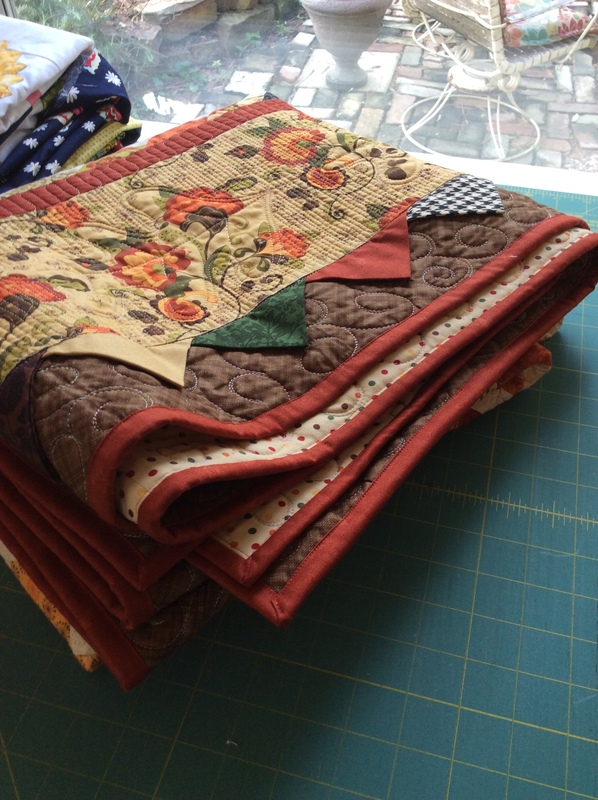 I have so many quilts that need bindings. I should just start leaving them around the house draped over the furniture, in an effort to remind myself to finish them. 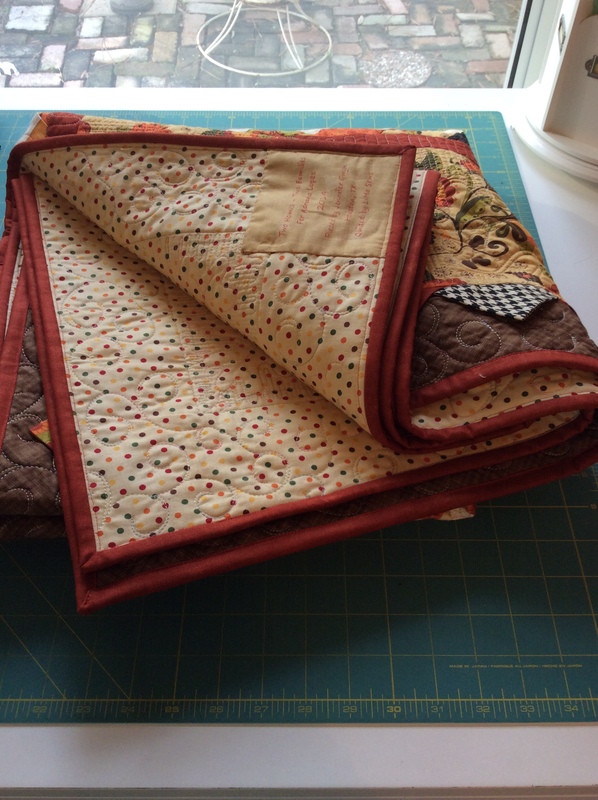 Love the colors in your quilt, and those prairie points are adorable. I was using a couple of them without the bindings, but I could tell it was starting to make the edges a little ratty with threads. They looked so great after I did the binding. But it isn’t my favorite part of the process for sure. Your friend is going to love her quilt, Jennifer! I’m excited to hear that you will be returning soon to Reach for the Stars. I am anxious to see it put together! !